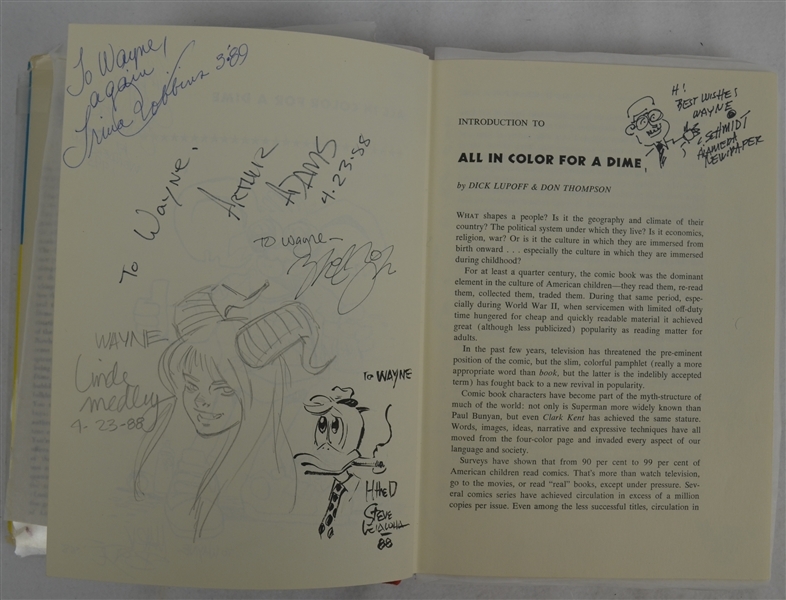 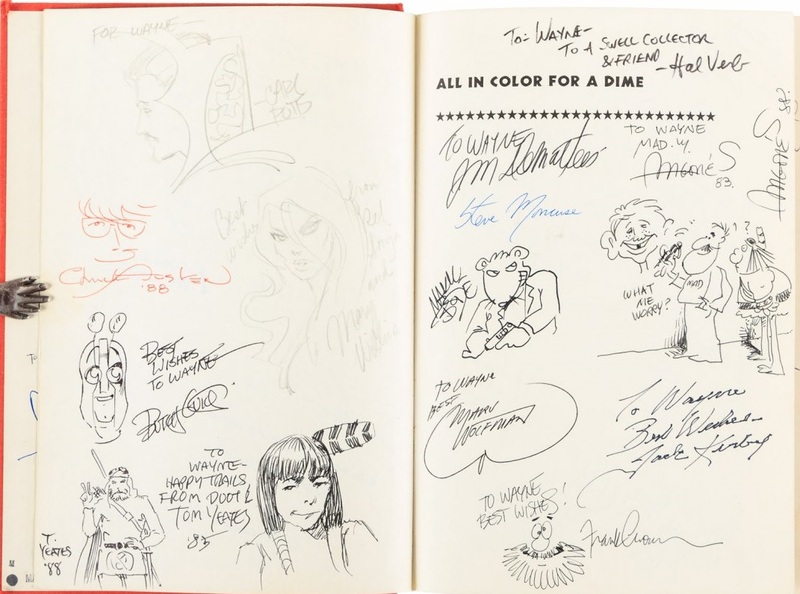 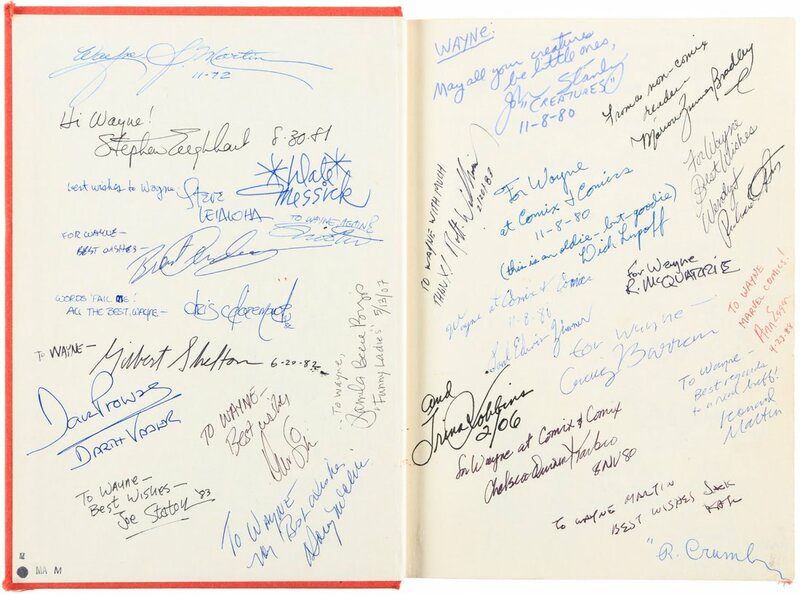 This amazing offering features a First Edition copy of the 1970 book titled "All in Color For A Dime" containing an amazing 303 signatures from various personalities from the Comic Book industry. 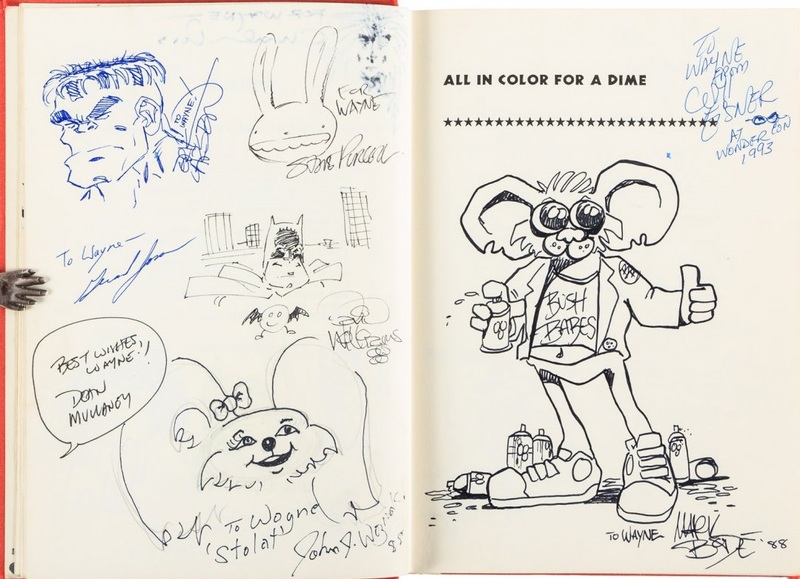 Aside from the obvious, enormous signature value is the fact that there are over 100 original drawings. 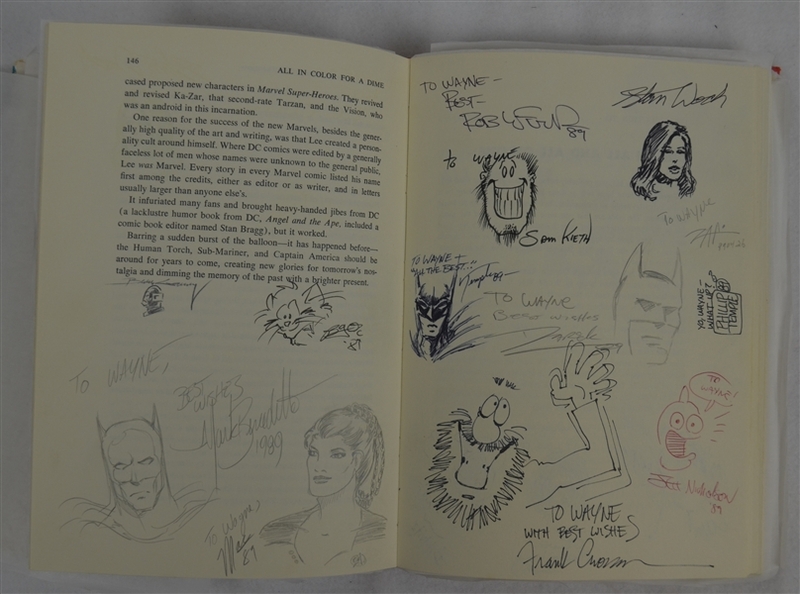 Signed by the author as well as over 100 comic industry giants throughout the volume. 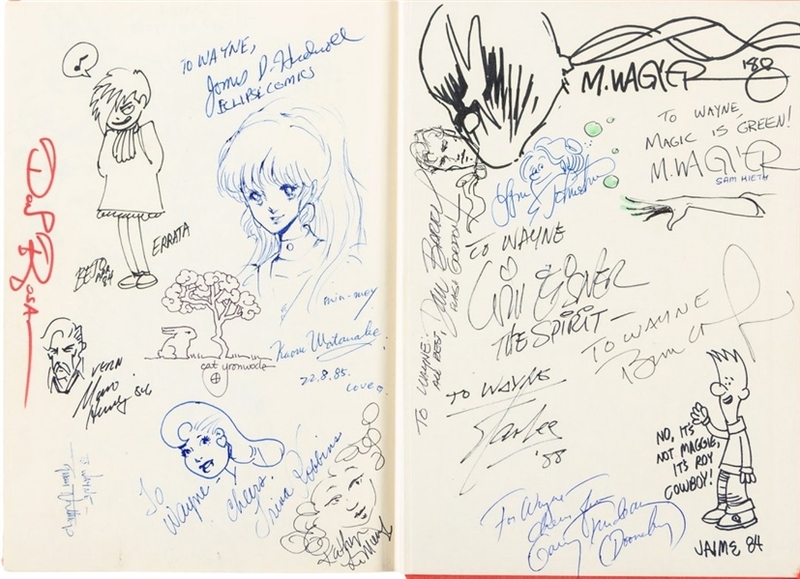 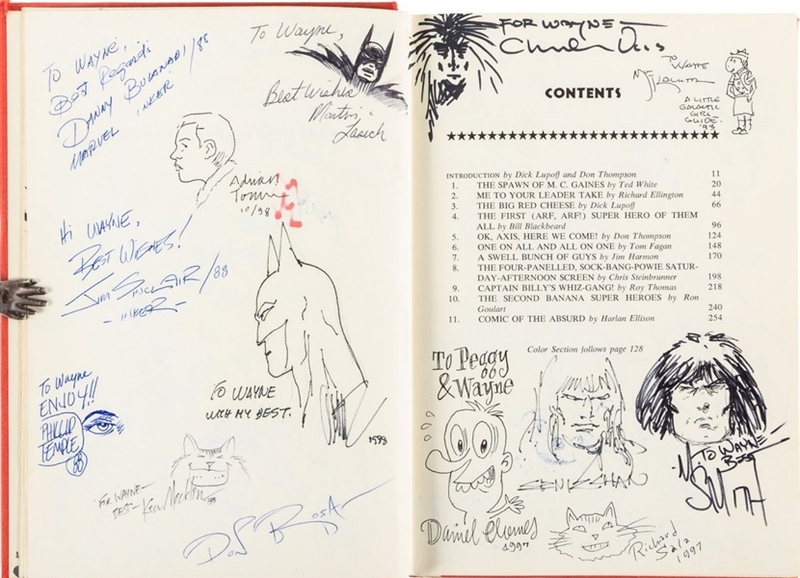 Signatures include Stan Lee, Jack Kirby, Will Eisner, Marion Zimmer Bradley, R. Crumb, Chris Claremont, John Byrne, Jaime Hernandez, Marv Wolfman, David Prowse (Darth Vader) and many others. 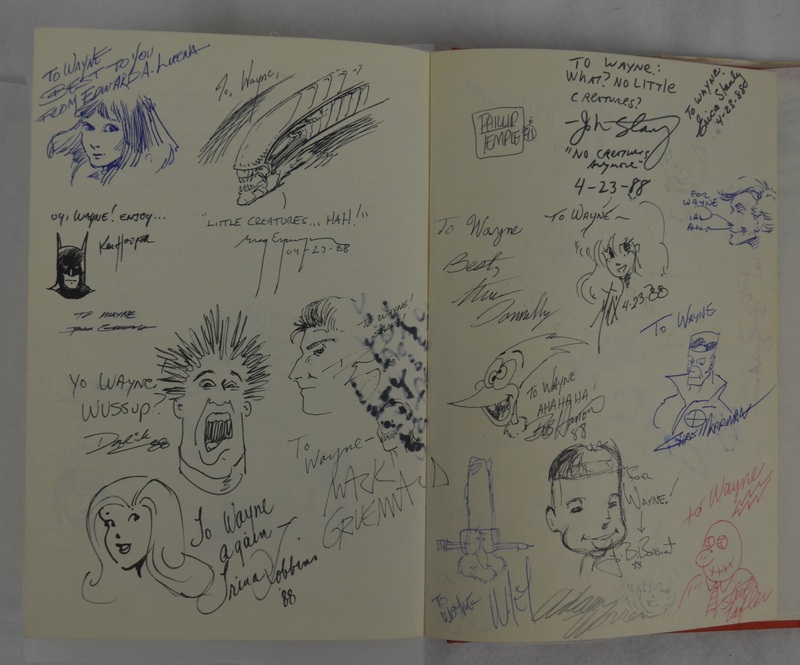 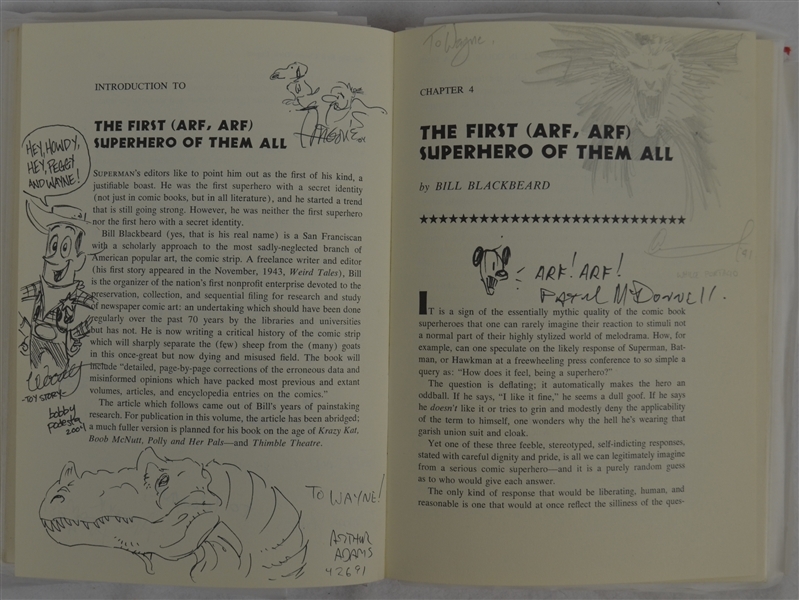 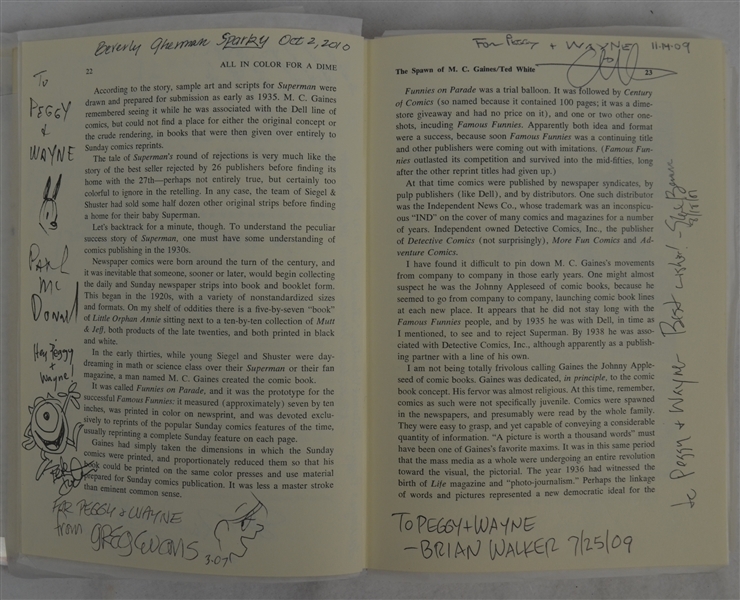 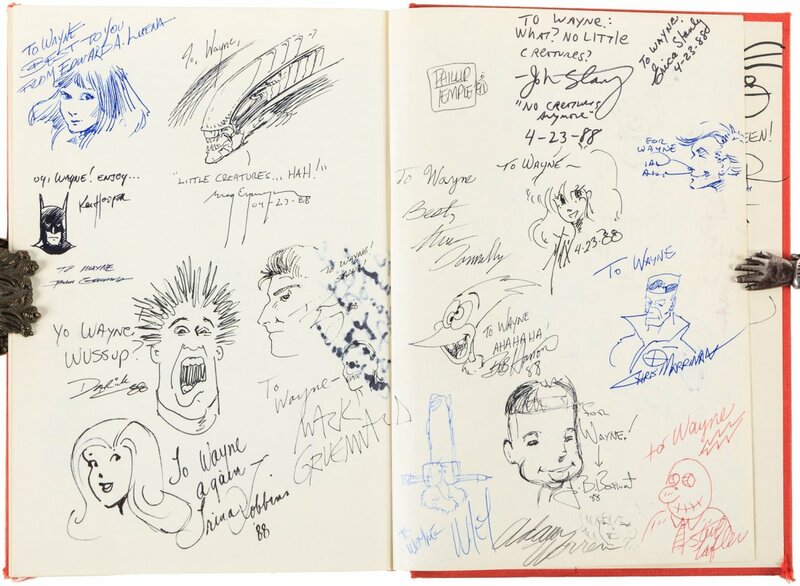 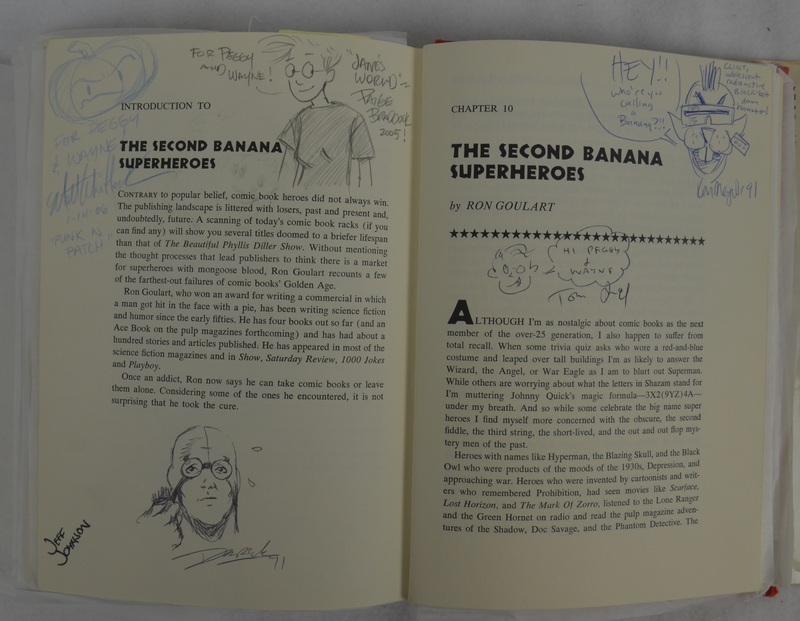 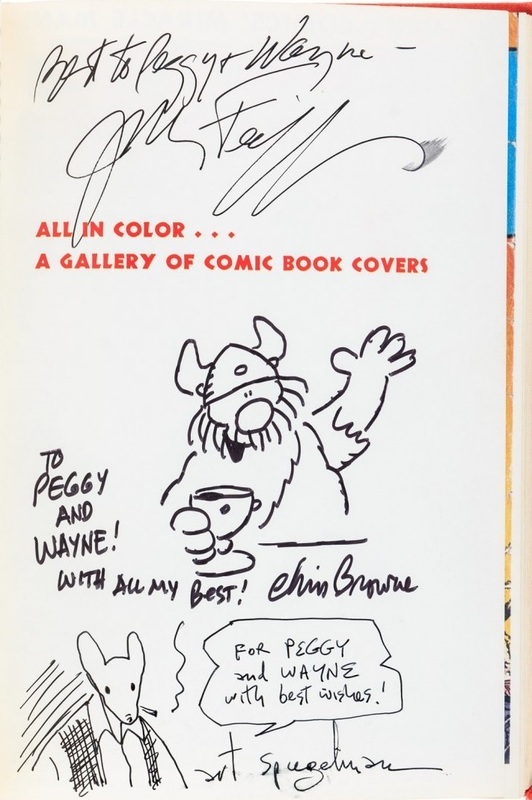 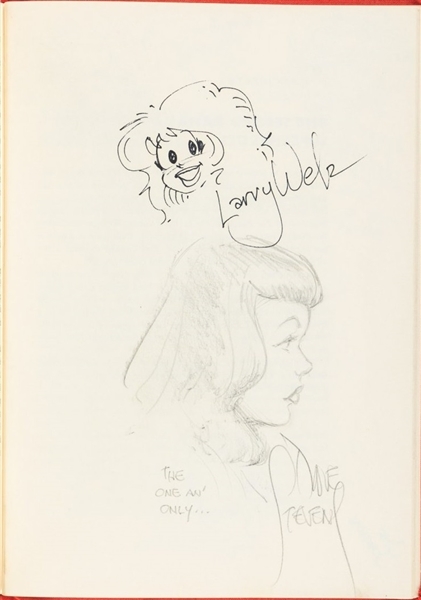 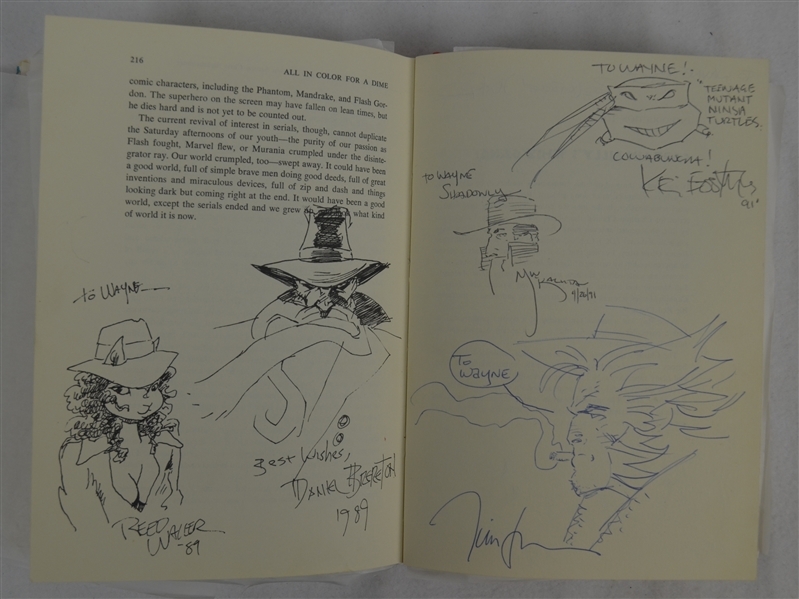 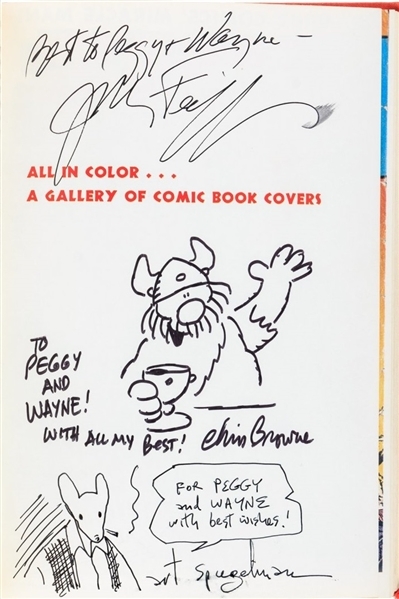 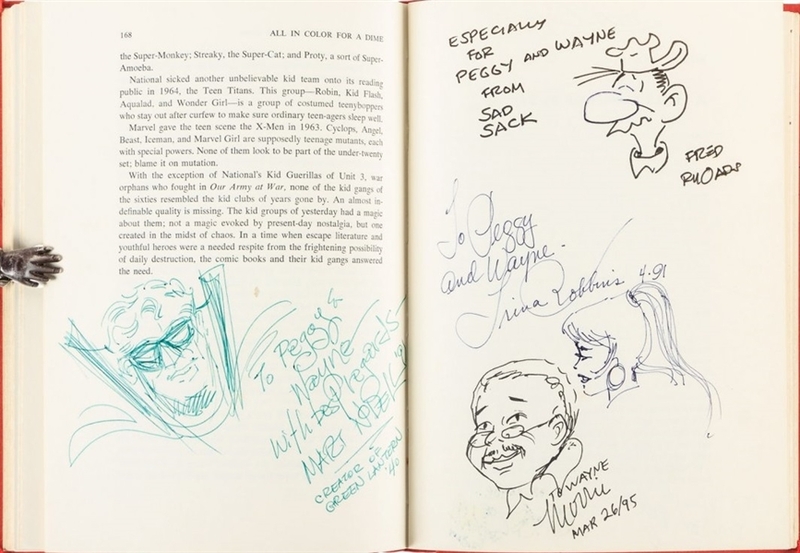 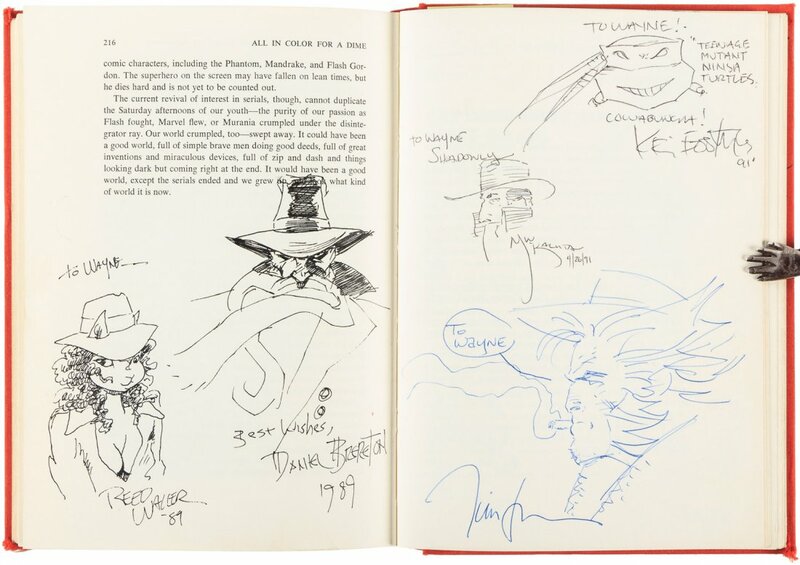 Signed by many artists along with sketches of the characters they are famous for, including: Sergio Aragone, Art Spiegelman, Rob Liefeld, Daniel Clowes, Adrian Tomine, Steve Leiaoha, P. Craig Russell, Arthur Adams, Charles Vess and many, many others. 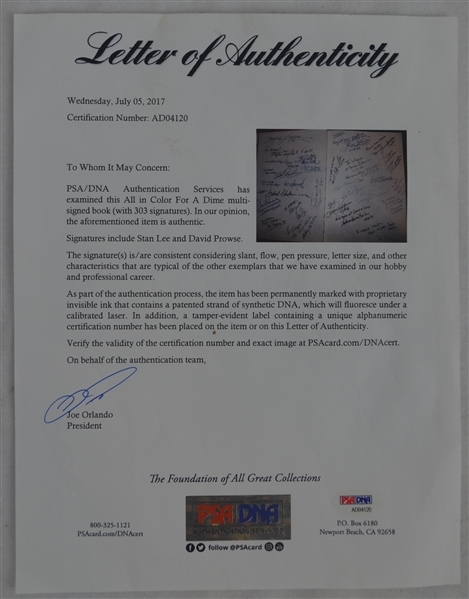 A truly unique item for fans and collectors. 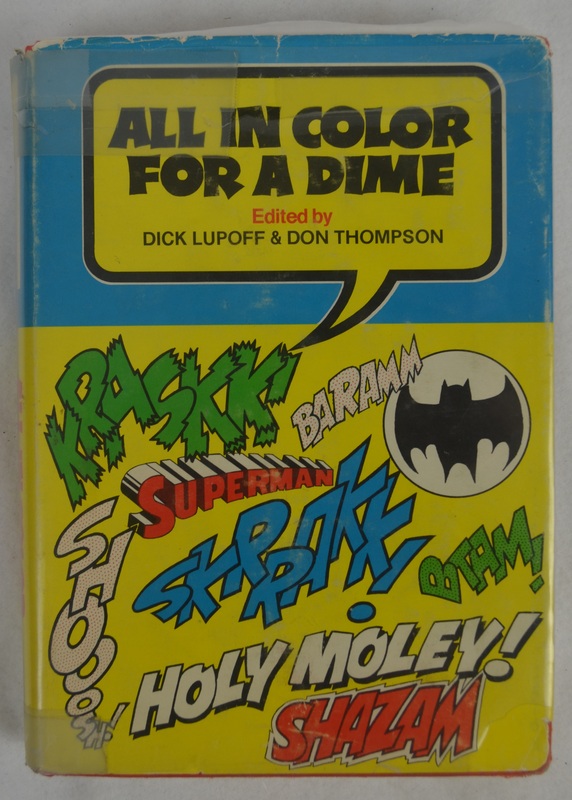 Truly a must have, one-of-a-kind item for Comic collectors.